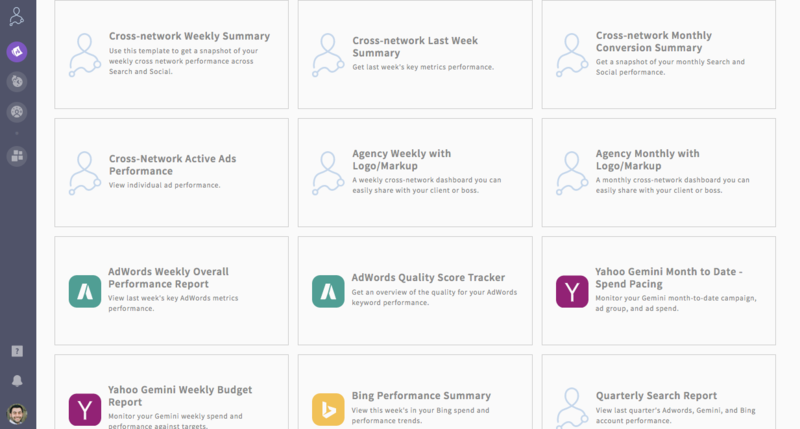 Welcome to the March edition of What’s New in AdStage! We’ve been hard at work and want to share our latest updates. You asked, we listened, and now they are here! The template gallery, one of our most popular features in Report, just got an upgrade. No longer will you be stumped on how to begin a new Report dashboard, now you can get there there in one click. Need more Report templates information? Click here. Calculated Metrics gives you the power to define your own KPIs using existing metrics across all networks integrated with AdStage. This means you can combine network-specific metrics for streamlined cross-network reporting, as well as alter existing metric calculations. 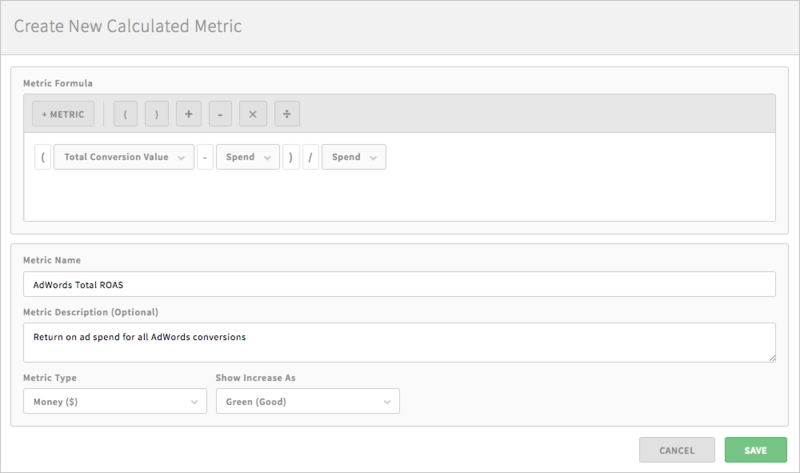 ROAS: Calculate your own return on ad spend metrics to report back to your CMO or client. Rename a KPI: Clients don't always have the same PPC vocabulary as marketers. Change a confusing conversion name like "Complete Registration" to something more digestible like "Signups". Add weight to a metric: Does one type of click matter more than another for your strategy? Create a metric like URL Clicks x 1.3 = Custom URL Clicks. 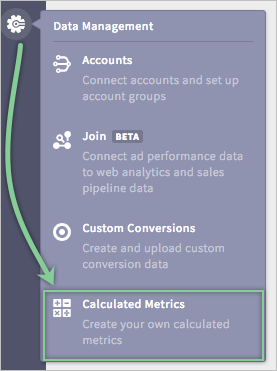 Learn more about Calculated Metrics here. Are you keeping up? 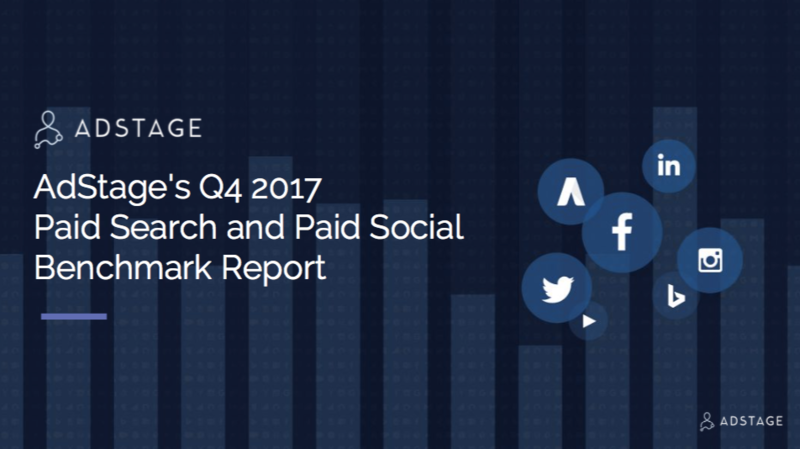 Download our comprehensive report that includes CPM, CPC, & CTR benchmarks for Facebook, Instagram, LinkedIn, Twitter, Google AdWords, Google Display Network, Youtube, and Bing Ads.